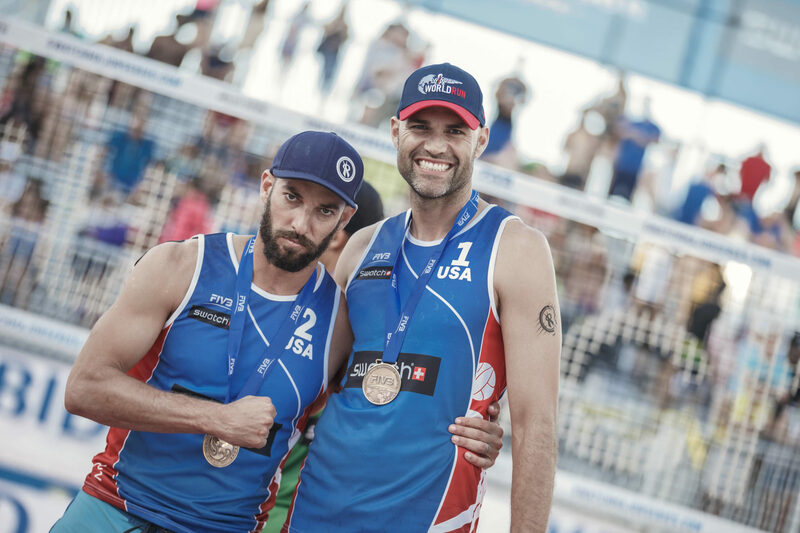 FIVB has updated their Men’s and Women’s Beach World Rankings after the conclusion of last week’s season-opening major in Ft. Lauderdale, Florida. The rankings are updated every Monday after a FIVB recognized event that grants FIVB ranking points and is based on the last 365 days of competition. These rankings can be crucial as they often determine which teams get invited to different events, as well as which teams get free passes to the main draw as compared to which have to play through qualification rounds. The Brazilian pair of Larissa and Talita grew their lead with 400 first place points, extending ahead of Americans Kerri Walsh-Jennings and April Ross. Laura Ludwig and Kira Walkenhorst, who won a historic triple last season taking European, World Tour, and Olympic gold in the same year, remain in 3rd place in spite of Ludwig sitting out of Ft. Lauderdale after undergoing shoulder surgery. On the men’s side, Nick Lucena and Phil Dalhausser remain atop the rankings after a 3rd-place finish in Ft. Lauderdale. The Latvians Janis Smedins and Aleksandrs Samoilovs didn’t have a great start to their season, finishing only 17th and being largely a non-factor in the opener, but remain the 3rd-ranked team thanks in large part to a long run of consistency. Full explanation of rankings is below. Rk Men’s Team Rankings Country Nb. Rk Women’s Team Rankings Country Nb. Many of the world’s new pairings, like Brooke Sweat and Summer Ross, for example, won’t appear in the newest world rankings because they simply haven’t played enough tournaments together. Sweat and Ross, for example, will have only 320 points after finishing 3rd in the Ft. Lauderdale Major, but expect them to rapidly climb these rankings as the season progresses. 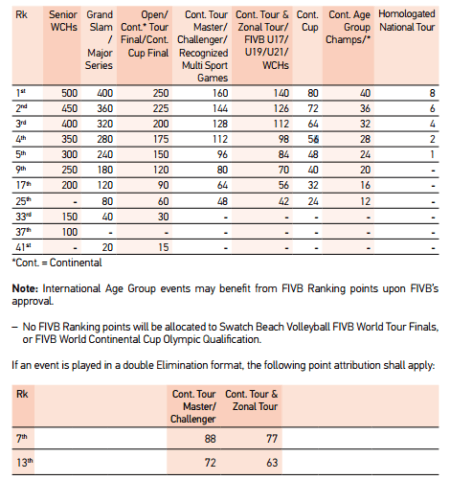 FIVB also tracks “entry rankings,” which are used largely to determine the number of entries a nation gets. Athletes are allotted their individual ranking points, and then divided into theoretical pairs (1st and 2nd, 3rd and 4th, 5th and 6th) to determine how many entries each country gets into a tournament. The World Rankings are based on actual current pairs and their points scored together in real competition.